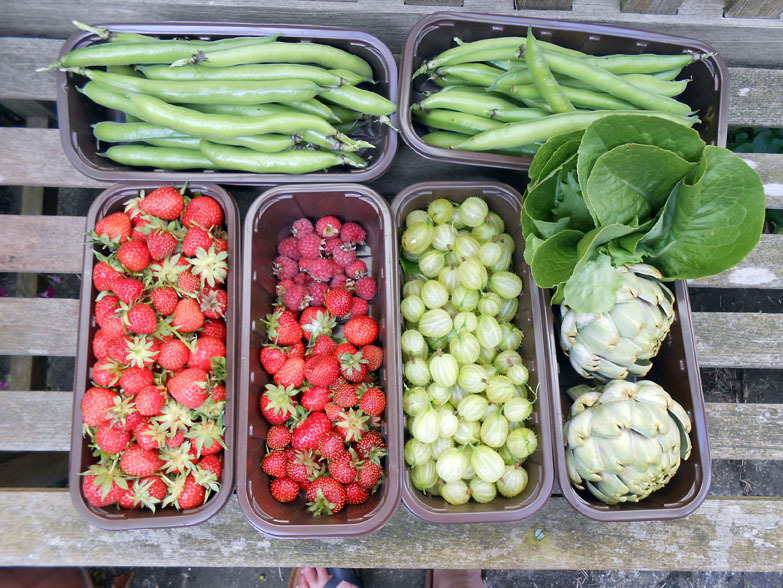 It’s so rewarding and exciting having an allotment and all the produce so, so, so tasty. 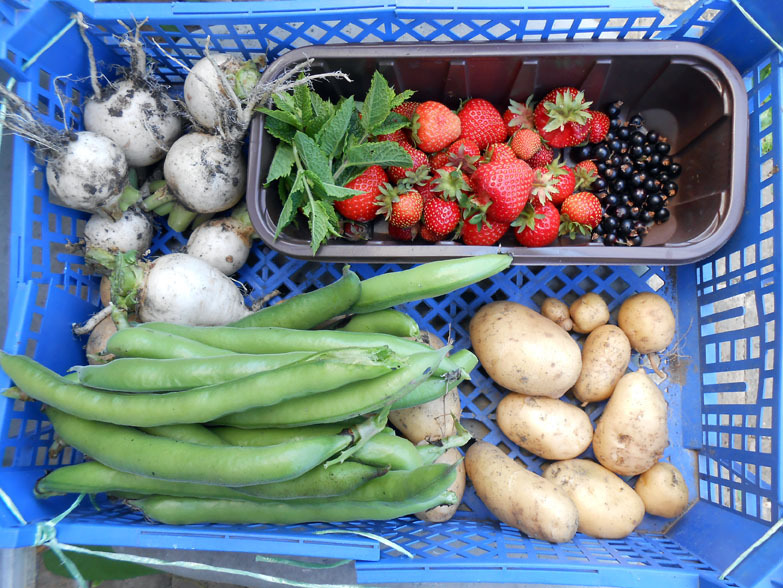 This is the third summer for our plot, and the yield steadily increasing as we get ourselves organised and learn what will grow best there. Ok, them strawberries beat mine – very nice! Haha, yes, quite hot when picked fresh! Yummy! I can taste them! I’ve been having strawberries every day for a fortnight for breakfast, which is a yummy start to the day, indeed:-) Today I had raspberries, too. No shortage of Vitamin C at this time of year! I feel so much healthier eating this home-produced stuff. It tastes as if it’s packed full of vitamins and minerals. Lots of watering to be done this week, though, as we’re having a heatwave. I reckon it’s about 90 degrees F. outside this afternoon and the mercury climbing! You must have stronger teeth than me, Roy. The strawberries, raspberries, and lettuce leaves were the only things I ate raw. I challenge you to eat a globe artichoke without cooking it first. You’d need teeth like a giraffe to chomp on that! It makes everything from the supermarket taste too well travelled, not so fresh, and depleted of vitamins and minerals.